Damien Chazelle and Beau Willimon's ambitious projects are being abandoned, and both failed launches stem back to misinformation. Like a dying star in the night sky, the last glimmer of hope for two epic space stories vanished into nothingness last week. “First Man,” Universal’s highly touted Neil Armstrong biopic, earned zero SAG Award nominations and barely cracked the stratosphere at the Golden Globes. Meanwhile, Sean Penn’s long forgotten Hulu drama “The First” was blanked by both awards shows. Each prestige picture tells the story of interstellar pioneers. Each earned high marks from critics, and both “Firsts” had ambitious aims for commercial and awards success. What, exactly, went wrong for both properties may be distinct to their mediums: “First Man” tried a wide release right out of the bat, despite a difficult central theme, and “The First” debuted on a streaming service that’s seen inconsistent impact on the culture at large. But the most damning reason that each fell short is the same: Audiences were misled, or the producers deluded themselves. Whether it was unforeseeable controversy or unwanted presumptions about the stories being told, “First Man” and “The First” are destined to be forgotten far sooner than anyone planned, and much sooner than either excellent project deserves. “First Man” was hit right out of the gate with a false flag — specifically, a false report that the American flag didn’t appear in the movie. A report on Business Insider, based on a post-premiere press conference with the filmmakers, used the headline “Neil Armstrong movie ‘First Man’ omits the American flag being planted on the moon, and Ryan Gosling defended the decision.” The story was quickly misinterpreted as “‘First Man’ omits the American flag,” as evidenced by angry tweets from Marco Rubio and various conservative pundits, and the hashtag #BoycottFirstMan has been used as recently as November 29. The reality is the American flag is all over the movie, placed as patches on the arms of the astronauts and shown multiple times standing upright on the lunar surface. As IndieWire executive editor and chief critic Eric Kohn pointed out, the fact that the film didn’t literally show Armstrong planting the flag is irrelevant to its patriotism, but the damage was done. Other press affiliates latched on, the hashtag persisted, and “First Man” became a divisive political topic instead of innocent awards bait. However, the story “First Man” really tells also didn’t do it any favors. Those moviegoers who did make it to the theater weren’t met with a space adventure that favored inspiration over action. They saw an American hero wrestling with immense loss. Instead of framing his journey to the moon as the peak of his career, let alone his life, Chazelle’s story framed Armstrong’s unflappable motivation as a response to the loss of his two-year-old daughter, Karen. He wasn’t a classic American hero, risking his life for the greater good of mankind; he was depressed to the point of being suicidal, daring whatever forces were out there to take him on the next flight, the next mission, the next breath, all so he didn’t have to feel the pain anymore. That’s a heavy story for mainstream American audiences to take on, especially when the trailers, posters, and heavily touted IMAX presentation all gave the impression of a thrill ride through space. TV spots emphasized the danger of the mission, and perhaps its Venice debut and Oscar pedigree hinted at an extra dose of drama, but “Gravity” was an Oscar movie, and people ate that up. “First Man” is not “Gravity.” It’s not “The Right Stuff.” It’s not “The Martian,” “Interstellar,” or “Apollo 13” — it’s as dark as the blackness of space, and it’s a better movie for it. But greatness doesn’t guarantee success. Just ask everyone involved with “The First.” Though reviews were more mixed than “First Man,” Beau Willimon’s mission to Mars series landed raves from Vox, IndieWire, The Hollywood Reporter, and Vulture, among others. 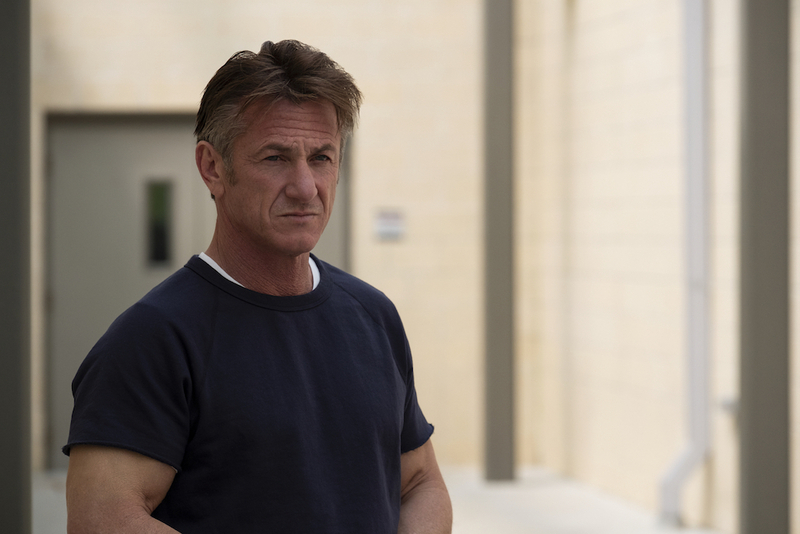 Pair that with a star like Sean Penn and a notable creator like Willimon, and that’s more than enough to keep it in the awards conversation (especially after “Ozark” scored big nods at the Globes and SAG Awards, despite a much harsher reception). So what went wrong? Without viewership data, it’s hard to say if people watched “The First” and didn’t like it, or simply never gave it a shot. But the dearth of press stories, search traffic, and general buzz indicates a lack of impact. Part of the problem appears to be comparisons. Many critics who didn’t love the series cited past space projects it couldn’t live up to — films “First Man” also wanted to match. This is, after all, a series ostensibly about mankind’s first mission to the Red Planet, and audiences took issue with how much time it spent on Earth: “The First” never spends any time on Mars. And to be fair, it’s hard to sell a series with a hook as meaty as space travel without describing it as, “Sean Penn’s Mars show.” Hulu’s official synopsis puts Sean Penn front and center (“Sean Penn leads an ensemble cast…”) before saying the series is “about “a crew of astronauts attempting to become the first humans on Mars.” If that’s the prominent message prior to watching, then audiences may be justifiably upset when Sean Penn fades out midway through the season (still there, but far from the primary focus) and there’s no resolution to whether this crew ever reaches Mars. It’s a matter of perception, but many issues facing both projects come back to what viewers think they should be instead of accepting what they are. Based on questionable reporting, readers thought “First Man” was unpatriotic. If not that, then they thought it was a rip-roaring space adventure. “The First” was supposed to follow Sean Penn as he leads the first manned flight to Mars, and even critics expressed frustration when it wasn’t. To assign obligations on art is as absurd as it is destructive, not only to the project’s perception in the world but to each individual’s enjoyment of it. 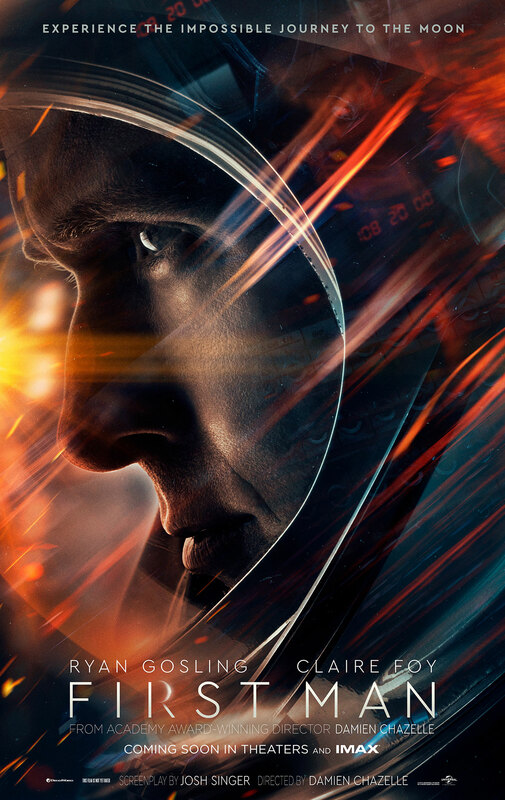 Audience expectations, whether invited or presumed, were the faulty wiring for both “First Man” and “The First” — it’s almost shocking they both haven’t been wiped out of the sky already. “The First” has yet to be picked up for a second season. It’s been shut out of the winter awards race, leaving little hope for the Emmys, and has yet to crack a critic’s Top 10 list (though it is an honorable mention on IndieWire’s, as well as one of its best new shows). “First Man” still has a shot at Oscar glory, given nods for Claire Foy and composer Justin Hurwitz at the Globes, but its odds are dropping along with its dwindling box office receipts. Only time will tell if these projects can bounce back into the public consciousness, but everything meant to help them blast off has sputtered on ignition.